Steve Niswanger is the managing member of the firm and has about 23 years experience in business and general litigation and transactions, with an emphasis in contracts, creditors' rights (including foreclosure and bankruptcy), real estate, business torts, partner disputes, trade secrets, and construction. He has been recognized as one of the leading attorneys in the Southeastern U.S. In addition, he has been recognzed as a Top-Rated Laywer in Litigation and Construction. Moreover, Mr. Niswanger is "Peer Review" Rated by Martinedale-Hubbell as Distinguished with a rating of BV. He is "Lead Counsel" rated by Thomson Reuters through Lawinfo.com. Mr. Niswanger has been an Adjunct Professor of Law at U.A.L.R. William H. Bowen School of Law. He has spoken at numerous seminars on the topics of real estate, construction liens and disputes, and bankruptcy. 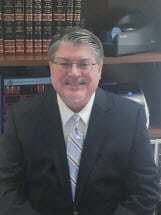 He is a member of the American, Arkansas, and Pulaski County Bar Associations. He is an alumnus of Greater Little Rock Leadership and the past Lt. Governor of Division 21 of the Kiwanis International Mo-Ark District. He is the past president of the Downtown Little Rock Kiwanis Club, which supports Camp Pfiefier, a charitable institution dedicated to improving the lives of Arkansas' at-risk 3rd, 4th, and 5th graders in Central Arkansas, and is on the board for the camp. He also served recently on the Board of Youth Home, Inc., which is a charitable institution dedicated to helping Arkansas' most emotionally troubled adolescents and families become healthier contributing members of the community. Further, his firm has received the Award for Arkansas Litigation Law Firm of the Year from Corporate International magazine every year since 2013. Niswanger Law Firm PLC represents clients in the Little Rock metropolitan area and throughout Central Arkansas.